PWRaffiliate is the affiliate program for PWR.bet casino. Earn up to 50% revenue share. If they happen to be interested in promoting a new online casino brand then PWRaffiliate could be a good program for affiliates to join. If they do opt to be a part of the program, players will have the chance to promote the PWR.Bet brand. While this online casino is relatively new, it already has a number of features that make it ideal for affiliates to promote. Not only does it have no deposit free spins and a generous welcome bonus package, the online casino also has weekly promotions that help players get more for their deposits. In terms of casino games, the online casino features hundreds of titles from some of the top developers in the industry today. Thanks to these features, affiliates can expect the online casino brand to have high conversion as well as retention rates. Successfully promoting the PWR.Bet brand will result in players receiving generous commissions. For the revenue share commission structure, players can get up to 50% of the net revenue generated by the online casino from their referrals. As for players who qualified for the CPA commission structure, they’re looking at a rate that can go as high as €180 for every First Time Depositor (FTD) referred. 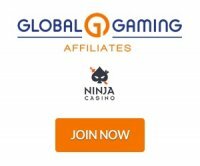 Other than this, there’s also a CPL commission structure that rewards affiliates with up to €15 for every referral who registers for an account with the online casino. As of now, PWRaffiliate processes the pay outs for its affiliates’ earned commissions through Electronic Transfer, Skrill, and Neteller. The program calculates commissions at the end of the month in order to process the payout for the following month. In order for the payout to be processed though, affiliates will need to have their commissions be at least €100. If the commissions fall below this amount, the program will defer the pay out for the subsequent month or until the €100 threshold is reached or topped. PWRaffiliate makes use of Income Access affiliate management software. The moment their applications to join the program are approved, affiliates will then have access to the tools needed to successfully promote PWR.Bet. Some of the marketing tools at affiliates’ disposal include links, banners, text, and other rich media content that can then be used on affiliate sites. Affiliates are also provided access to an affiliate tracking solution that they can then use to get information pertaining to referrals, impressions, clicks, and even commissions. With this information and the help of their affiliate managers, affiliates would have a much easier time improving their campaigns and consequently, their earnings. PWR.Bet is an online casino brand that’s owned by a company based in Seychelles called Promo Tilika Limited. Managed by EveryMatrix Ltd., it started operations this 2018 and is targeted mainly at English-speaking players residing in Europe or in countries where online casino gambling is legal. To entice new players, the online casino has a no-deposit free spins bonus that goes along with a welcome bonus package that covers their first 2 deposits. Depending on where they’re from, players will have access to casino games from developers such as NetEnt, Microgaming, and Play’n GO (just to name a few). Complementing these bonuses and casino games is a weekly reload promotion that allows players to get more value out of their deposits. In charge of licensing and regulating the online casino’s operations are the Malta Gaming Authority and the Government of Curacao.